Been Waiting for an Opportunity? Here’s a Great One! It won’t be your typical convention. No drunken old men wearing funny hats, no boring seminars, no has-been guest speaker at a bad and overpriced dinner. Instead, the annual International Home + Housewares Show (IHHS) is a melting pot of business opportunity, attended by manufacturers, distributors, retailers – and inventors. Companies of all sizes and even individuals attend to display new products. For many of them the goal is achieving a licensing agreement. This year the IHHS is held in Chicago, at the expansive McCormick Place, on March 2-5. Over 2,200 exhibitors will be displaying, selling, and buying products as well as searching for licensing agreement opportunities. Over, 60,000 industry professionals are expected to attend, and national media and trade journalist attend the show looking for the next “Big” hit. Could that be your product? Not if it isn’t there! Unfortunately, it can be quite expensive to exhibit, though. Add up the expense of leasing, designing and furnishing your own exhibitor booth, then generating the necessary supplies to professionally present your product, not to mention travel, lodging, and staffing for the entire four-day convention, and it can easily cost more than $20,000. That’s just to stand there at your booth, too. That’s where Inventor Process comes into the picture. Our team of industry professionals deploy to this annual convention representing clients who have superb products and product ideas. And we do all of this for a tiny fraction of the cost an inventor would ordinarily have to pay. Not only do we save our clients the high cost of attending the convention and operating an exhibitor booth, but we also do the hard work. Inventor Process makes the pitch, negotiates, and helps our clients achieve their final goal: successful manufacturing and distribution agreements for their products…aka Invention Success. And we’re good at it, too. At last year’s IHHS alone, we directly met with over a hundred companies about our participating clients’ products, set up private meetings to further the relationship, and opened the doors that allowed Inventor Process, Inc. to negotiate directly with those companies. Is representation right for you? It is if, you have an innovation you’d like to license for royalties and/or you need retail placement for your shelf-ready product. An International Home + Housewares Show representation package gives you an excellent opportunity to succeed with your product! This is the only place on earth where over 60,000 professionals gather for four-straight days looking for their next hit product, and this is the best economy many of them have ever seen! There’s never been a better opportunity to succeed with your product. It’s time for your invention to work for you. Don’t miss this opportunity! Please recall: the convention starts less than a month from now on March 2nd, 2019. 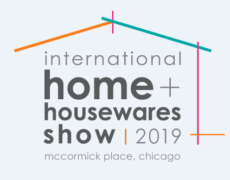 If you’re interested in representation, let us know right away so we can thoroughly prepare to represent your product at this year’s International Home + Housewares Show. The deadline to secure representation is February 20th. There’s limited availability. We’re ensuring our team has the time and focus necessary to professionally promote the products we represent, so we’re limiting participation. Please contact us SOON – no later than February 20th – to reserve a representation package! May we all be blessed with good fortunes!